The first settler in the area was Mr Lewis John Bayley who was granted 4,000 acres for grazing in 1846 around the Moorumbine Spring. The land was first surveyed in 1856 and a permanent settlement established at Apex Hill around 1860. The expanding district joined forces to build a church, school, store and gaol. On the 24th of April 1884, the Moorumbine Townsite was gazetted. St Patrick’s Church of England was consecrated by Bishop Hale in 1873 and is still in use today. The Moorumbine School served the district until 1924 when the school was closed due to insufficient numbers. The children were then transferred to Pingelly. The opening of the Great Southern Railway in 1889 resulted in an economic boom for the district along the rail line. It passed just 10km west of Moorumbine and a small settlement was established at the railway siding located there. A spring of water east of the railway crossing was named “Pingeculling,” an Aboriginal name for ‘Watering Place.’ From this, the present name of Pingelly was derived. The growth and development of Pingelly, which was gazetted on the 4th of February 1898, marked the beginning of Moorumbine’s gradual decline. While settlers began to desert Moorumbine, Pingelly attracted many settlers from the Goldfields who were looking for an alternative and more secure means of income. An estimate of the population from the WA Yearbook in 1898 shows that the town had a population of 350. In addition to farming, other profitable industries of the time included sandalwood, mallet bark and animal skins. By 1898, a post office had been built in the town. In September 1906, telephone communications were established between the town and Popanyinning. By 1907, a telegram lodged at Wagin took five hours to reach Pingelly. 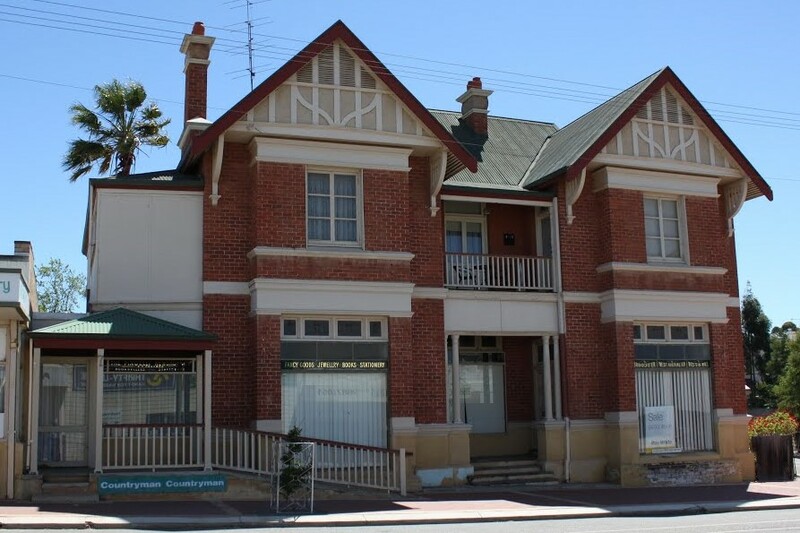 During 1908, a telephone exchange was established and the connections extended to Narrogin and Beverley. Eight gas street lights were installed in 1906, and in 1912 the service was electrified. The Pingelly-Moorumbine Road Board Offices were built in Pingelly in 1909. Just a few years later in 1913 ‘Moorumbine’ was dropped from the title. In 1961, the Pingelly Road Board became the Pingelly Shire Council and new Shire Offices were built on the site on which they still stand today.